The i24news portal reported, citing sources in Western intelligence, that Iran is using Yemen as a testing ground for its new drones, supplying them to the Houthi rebels who are fighting against the Arab coalition led by Saudi Arabia. 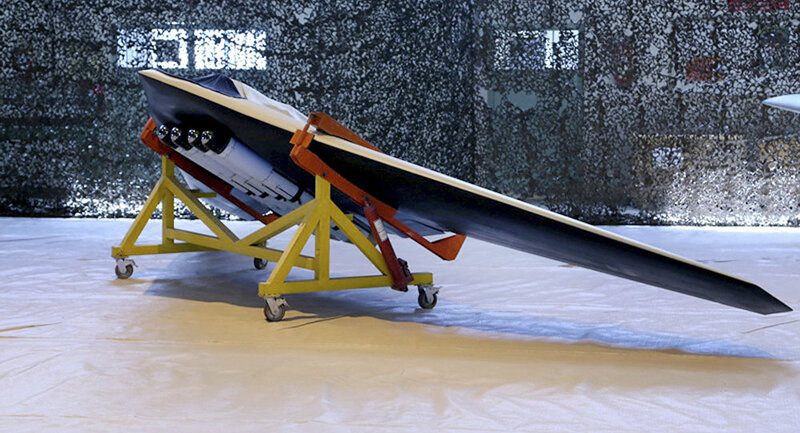 According to the media, Iranian drones are a source of great concern to both Israel and the United States. In an interview with Sputnik, several analysts have commented on the new technologies Iran allegedly has in this area and what measures other countries could take to prevent the testing and use of Iranian drones in Yemen. For Boris Dolgov, senior researcher at the Centre for Arab and Islamic Studies of the Oriental Institute of the Russian Academy of Sciences, i24news is nothing more than anti-Iranian propaganda that Saudi Arabia, the US, and Israel use as a cover for increasing pressure on Iran. 'This is clear because the Iranian drones are made based on captured American drones and cannot be compared to the technically advanced drones of the US and Israel supplied to Saudi Arabia. The fact that Iran has such equipment is not new nor does it bring any threat. It's a new weapon that many countries have, so the statement is evidently a propaganda smoke screen', he commented. Former Iranian Deputy Defence Minister and military analyst Ali Reza Akbari told Sputnik of the propagandist nature of the publication; he thinks it's 'part of a hybrid war against Iran' initiated by Israel and Saudi Arabia. Akbari believes that the Iranian drones don't play a major role in the conflict in Yemen, as the i24news story wants to show, and gives the following reasons. 'First of all, given the character of the conflict, Yemeni rebels don't need drones, even to get intelligence data on the opposing coalition's moves. Secondly, even if they needed drones, they could buy them in any European supermarket, at least to take photos and record videos', the analyst said. The former Deputy Defence Minister also recalled that the Iranian drones were and continue to be developed based on the US RQ-170, captured by Tehran five years ago. According to Akbari, the alleged threat of Iranian UAVs in Yemen is part of an Israeli-Saudi scenario aimed at distorting the image of the conflict in Yemen. But is Saudi Arabia, backed by the US and Israel, suffering more casualties than the other parties to the conflict? 'No talk on drones or military aid can justify actions taken by Saudi Arabia and its allies to destroy the Yemeni people', the expert said. As for the possible retaliatory measures, the analyst doubts that at the moment there are nations that can start a military conflict with Iran. According to Akbari, Iran is now 'the most militarily and politically defended country' in the region. Israel is rather vulnerable at the moment, as even Hamas with their handful of makeshift rockets poses a threat to them. Saudi Arabia, which is already engaged in a war, is worried about leaving without a clear defeat or, at least, without losing face. The United States, while capable of triggering a local or full-scale war, won't do so because of President Donald Trump's unstable position in the country. 'The current US policy toward Iran can be described as "soft assault" or "slow suffocation", but this policy doesn't yield results because Iran continues to breathe and move on. There is no force that can trigger a war in the region', he concluded.